First of all, if you missed the previous post you may want to catch up... here. Part one featured the downstairs living, dining, kitchen and outdoor area. 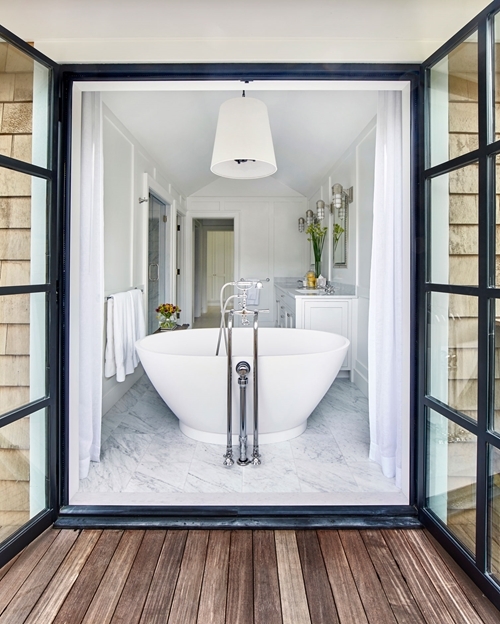 This beautiful home is a project by interior designers, Chango & Co and is located in Amagansett in the Hamptons. 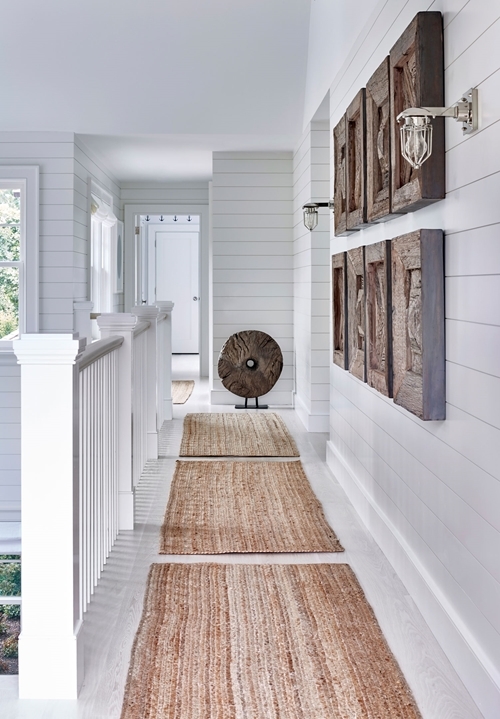 This home is truly special, it has a coastal feel but at the same time it's more than that. Chango have kept the interior fairly minimal, introduced organic pieces and plenty of texture which adds warmth to the white shiplap walls. 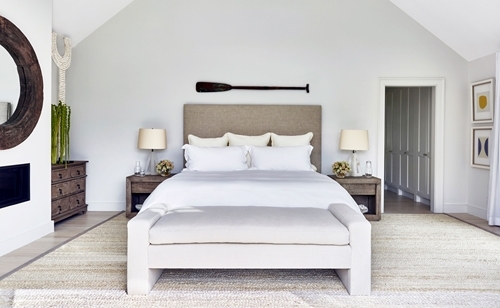 The bedrooms have been kept neutral with added texture and natural wood furniture. 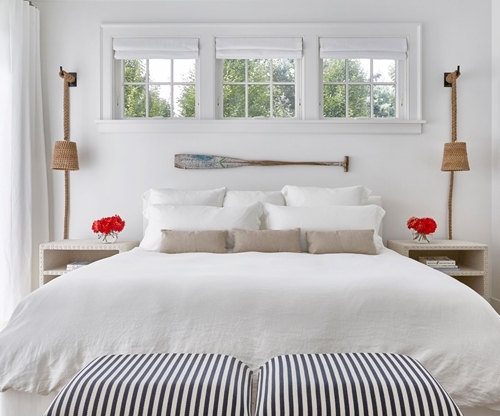 Symmetry can be seen throughout this home. 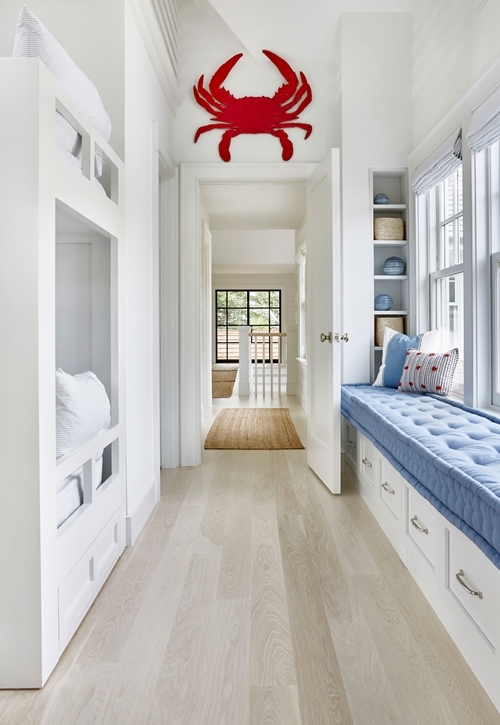 The children's bunk room is fabulous and a place where Chango have added lots of personality with its blue and white anchor wallpaper and the contrasting red, wooden crab over the door. Really there is no need to comment more as these lovely photos by Jacob Snavely, speak for themselves. I hope you enjoyed the remaining photos of this lovely home, it felt coastal but not overdone. Personally, I am inspired by the beautiful and classy bathroom and the textures used in the hallway with the wooden art. 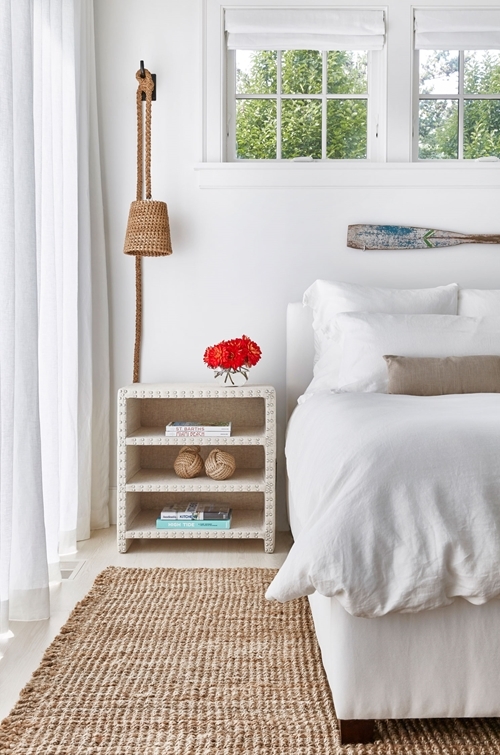 I can't wait to move down to our beach house in the future as I hope to decorate it in a similar style. 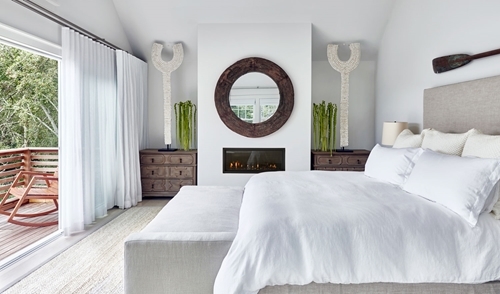 If you like Chango & Co's style and would like them to work on your project, head over to their Chango & Co's Houzz profile, where you can view more of their work. Beautiful beach home. I love to come here for inspiration. The large red crab is wonderful, in fact I found a blue one almost exactly the same on Amazon that will look great in our pool house. Thank you for sharing....I loved seeing this beautiful beach house! Awesome house. I wish that I could have a house like this. Thank you so much for sharing these pictures with us. Please keep sharing this kind of blog.